Browse our service levels for residential trash collection. Convenient curbside recycling is available in many residential areas. 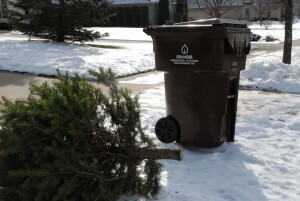 Seasonal yard waste collection is available to many Granger customers. Have a remodeling or cleanup project? We offer container rentals in various sizes to suit your needs. We have many different options for commercial trash collection—one is just right for your business. 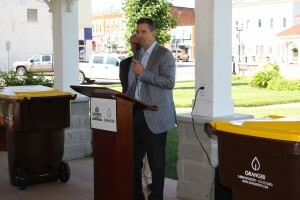 Several options are available for recycling at your business. We can help you manage high volumes of trash with one of our compactors. Let us help you find the perfect temporary container for your next project. Our experienced sales staff can help you select a compactor unit that fulfills your needs. Our landfills are engineered to be secure spaces to put trash, meaning the groundwater and surrounding area are protected from the trash inside using the best available practices and technologies. Our landfills also serve an important purpose of providing fuel for renewable energy generation. 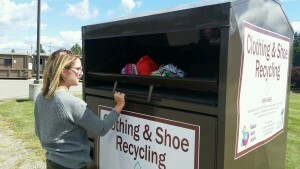 To us, recycling to us is more than taking something old and turning it into something new. It’s about preserving our earth’s God-given resources so our children and our communities can live a happy and healthy life for years to come. Welcome to the Granger Blog! Granger will once again be collecting Christmas trees this winter. All Christmas trees must be live-cut and free of decorations. Trees or sections of trees can be no longer than four feet. As you head back to school this fall, chances are you’ll need some room in your closets and dressers for new clothes and shoes. Want to stay up-to-date on holiday and weather delays? Sign up to receive our email alerts. There will be NO SERVICE DELAYS for Good Friday or Easter.